Don't take it from us, listen to our Grads. 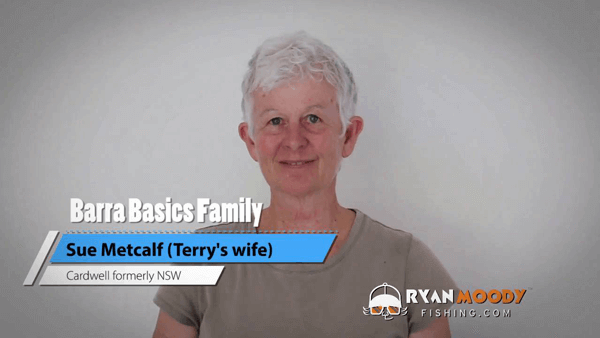 Each year we are excited to work with a vibrant community of fellow barra fishers and we are so honoured to collect their inspiring stories and receive their praise. You'll find just a few of our favourites below. Some have asked to remain anonymous hence their names are withheld. How does Basics Basics stack up when you go to a new area? 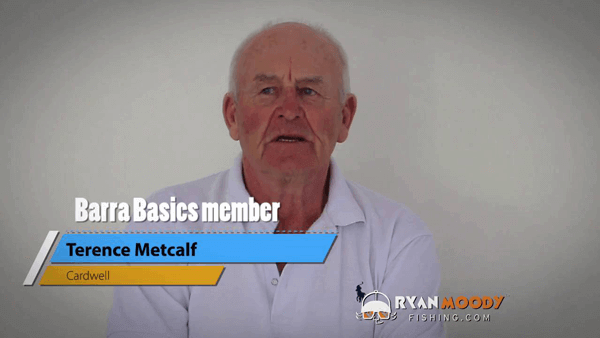 To experienced anglers wondering if they'll learn anything? Well worth the money! Very clear and direct. Uncovered a few myths on fish holding areas, retrievals and overall the framework just makes plain sense once you see it. I can see this working in a number of areas around Darwin and the NT. Used some techniques from your free videos and saw immediate results. Cant wait to get out there with this extra knowledge and learn more about my area!! P.S.- It is great to see the push of catch and release throughout the course. All of my fish are released and that's the way it should be. Thanks Ryan and Team! “A quick session today out on the headlands before the wind picked up with the family resulted in a 60cm Barra (and other by catches ) lure casting along a mangrove forest tight in the mangrove roots. Spooked 8 others around the rubble traveling to the mangroves one being 80 – 85cm, all my timing and strategy had lined up with the course! Awesome no time wasted!! 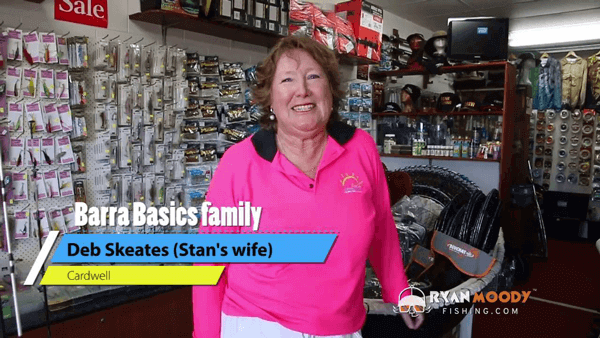 Whether through the internet, fishing magazines and books, sometimes it can be overwhelming trying to pinpoint quality information on successfully targeting Barramundi. 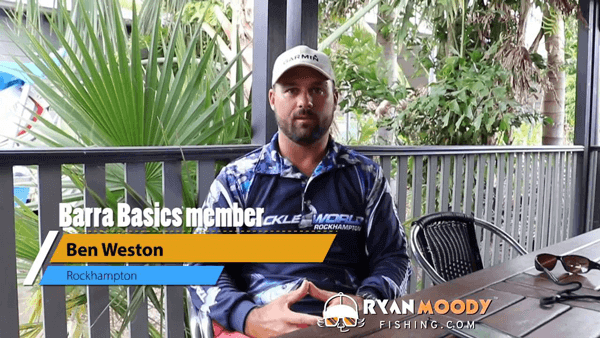 Ryan Moody has solved that problem by condensing thirty years of knowledge as a professional and highly successful charter guide and providing that information in an easy to learn, complete package. 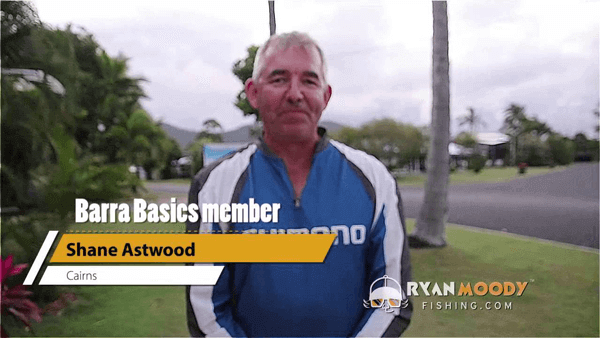 This course covers how, when and where to fish in your main fishing location, or any Barramundi fishery you choose to visit. 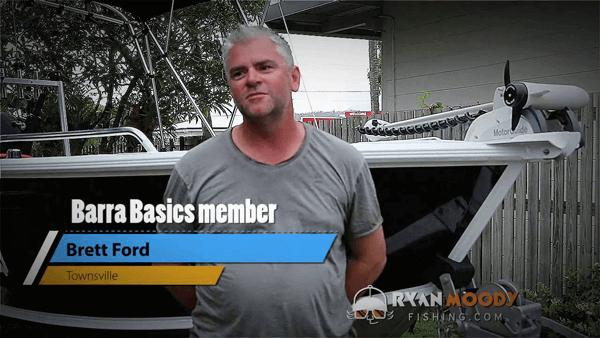 This course will save you money and time, ensuring you have the skills and techniques to effectively target Barramundi from day one, via live baiting, luring, jigging and trolling. 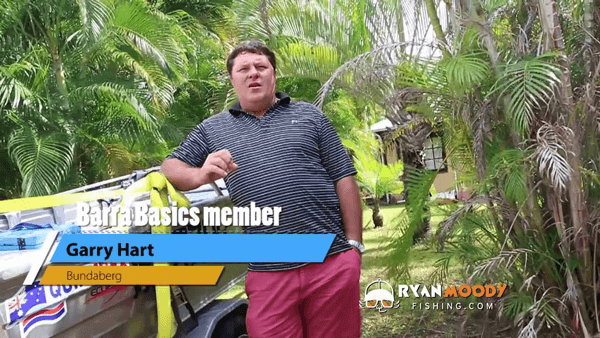 After finishing this course you will be fishing with confidence and you will hit the ramp with a proven fishing strategy, using skills that really work and took decades to perfect. I will never look at my local estuaries, flats and headlands the same way again!" "I am glad people say it is too expensive. I could only imagine what it would be like if everyone knew this kind of information." "I am really surprised how the private Facebook page is running. Great feedback and help, it is really nice to know there aren't any armatures/ poachers snooping around using this information for the wrong reasons. " I really hope the right people access this course; to improve the enjoyment in their hobbies, not to improve their ego. "That module was excellent. I remember fishing (luring) a large run on the Daintree river and we caught a few different species but no barra. We couldn't work out what we were doing wrong. Looking back at that day now after learning through this module I see where and how we should have been fishing. We even spent a while jigging, which definitely was the wrong option. Thanks Ryan." Finally got to put your framework to the test today Ryan, prior to completing this course I would have spent a day like today up a creek trying to escape the wind and dirty water. But by sticking to the framework and techniques learnt in the course I managed to have a reasonable day with the barra. Cheers mate!" Definitely money well spent this course!! First day off today, went trolling on the incoming… Pulled this 67cm Barra… and lost another at the boat not long before. Also caught a little 34cm Jack. Both released to fight another day!" I had 10 days away earlier this month which was a great opportunity to put Ryan’s knowledge and strategy into practice. We started fishing the creeks and caught loads (15 to 20 per session) of smaller school size Barra around the 50 to 65 cm’s. Then thinking about the things Ryan had said about Barra congregating... we made a move and bingo; the larger Barra ‘70cm to 1m’s’ were... We made a decision not to keep fish under 65cm or over 80cm which still saw us get almost all our bag limit in 2 days, we released at least five times as many fish as we kept which was very gratifying indeed." 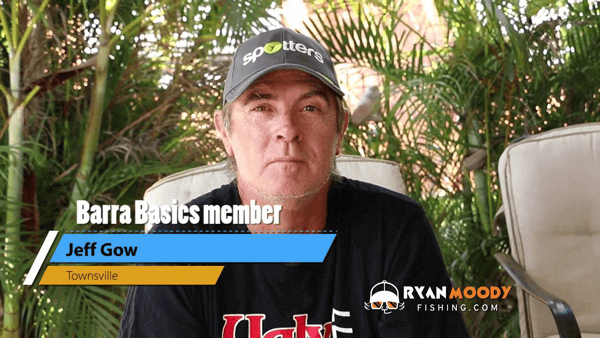 The things that’s stands out most for me from the Barra Basics course is how it takes a lot of guess work out of the game by teaching the art of strategy and planning each outing with confidence… This has increased my catch rate, allowed me to chase both large and small fish and saved me wasting time in the wrong locations targeting Barra in the wrong way." We are so inspired by our students dedication and are thrilled to be able to assist them fulfill their dreams. Here is a small collection of their successes extracted from the private facebook group. Identities and locations withheld for obvious reasons. Fresh fish for dinner - does it get any better? Have more time for YOU!